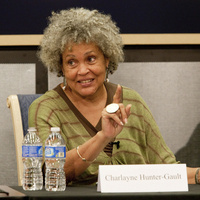 Charlayne Hunter-Gault, an award-winning journalist and University of Georgia alumna, will present the 2018 Holmes-Hunter Lecture Feb. 15 at 2 p.m. in the Chapel. The lecture is named in honor of Hunter-Gault and her classmate Hamilton Holmes, the first African-American students to attend UGA. Sponsored by the Office of the President, the Holmes-Hunter Lecture focuses on race relations, civil rights and education and has been held annually since 1985. Will this lecture be streamed? If so, where can I find URL?